Today sees Capcom announce the big screen adaptation for their Monster Hunter video game series, with the movie being directed by Paul W.S. Anderson. LOS ANGELES, CA -- (October 4, 2018) - Capcom Co., Ltd. (Capcom) today announced that their mega-hit video game series, Monster Hunter, is being adapted for the big screen by Constantin Film with Paul W.S. Anderson directing. “After living and breathing in the universe of Monster Hunter for 14 years we are thrilled with enormous anticipation to see our creations adapted for a theatrical release,” said Monster Hunter Series Producer, Ryozo Tsujimoto. “Monster Hunter’s fan base has exploded over the past year with the runaway success of the game Monster Hunter: World. It is our hope long-time fans and new alike will join us on this exciting exploration of the Monster Hunter universe. Tentatively dubbed, MONSTER HUNTER, the film tells the story of two heroes who come from different worlds to defeat a shared danger, the powerful, deadly and magnificent monsters that inhabit the land. Along the way viewers will make new discoveries and encounter familiar faces and beloved characters from the games like the Admiral. MONSTER HUNTER is produced by Paul W.S. Anderson and Jeremy Bolt from Impact Pictures, and by Robert Kulzer and Martin Moszkowicz from Constantin Film. Dennis Berardi, Head of VFX for the film, also acts as producer. The screenplay to MONSTER HUNTER was written by Paul W.S. Anderson, who also directs the film. Principal Photography will start in October, in South Africa and Namibia. Constantin Film will release the movie in German Speaking Territories, Tencent Pictures in China and Toho Film in Japan. Sony’s Screen Gems will release the film in the U.S. with the studio’s Sony Pictures Releasing International handling distribution in the rest of the world. The Monster Hunter series consists of action role-playing games where players and their friends work together to take down larger-than-life beasts in a living, breathing ecosystem. 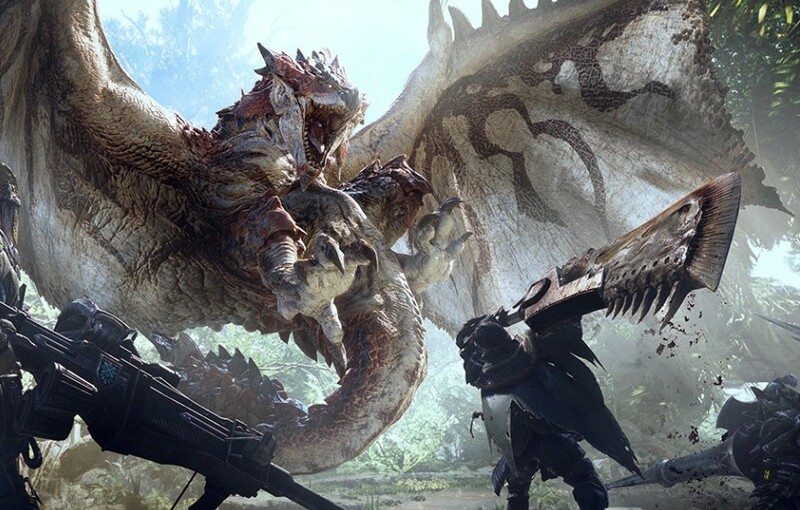 Since the first Monster Hunter title made its debut 14 years ago in 2004, the series has attracted a dedicated fan base, and grown into a global mega-hit with Monster Hunter: World, the latest title in the series, shipping 10 million units worldwide, with cumulative sales of the series exceeding 49 million units as of August 20, 2018.